Holy futuristic sh*t this was an amazing issue Batman. Terry finds himself undercover trying to infiltrate the Jokers to save the woman he loves, who still thinks he’s dead. This may sound a little soap opera-esque but man does it make for a great read. For the first time in this series we finally see Terry truly take on the mantel of Batman, though he does this without ever dressing up as the Bat. When we watched the cartoons Terry was a punk teen who was rash and impulsive, but he had a tonne of potential and in this series we see that potential finally come to fruition. Going undercover as Trey Malone, the son of infamous gangster Matches Malone, otherwise known as Bruce Wayne, Terry gives himself an initiation for the ages to gain access into the criminal gang . 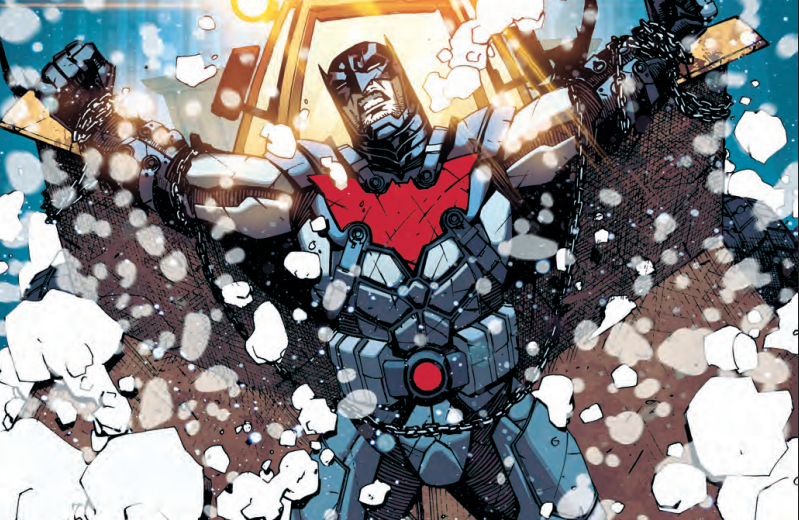 The beginnings of a new Batman family and a flashback to an epic battle between two titans leaves this to be one of the best books brought out by DC this year. 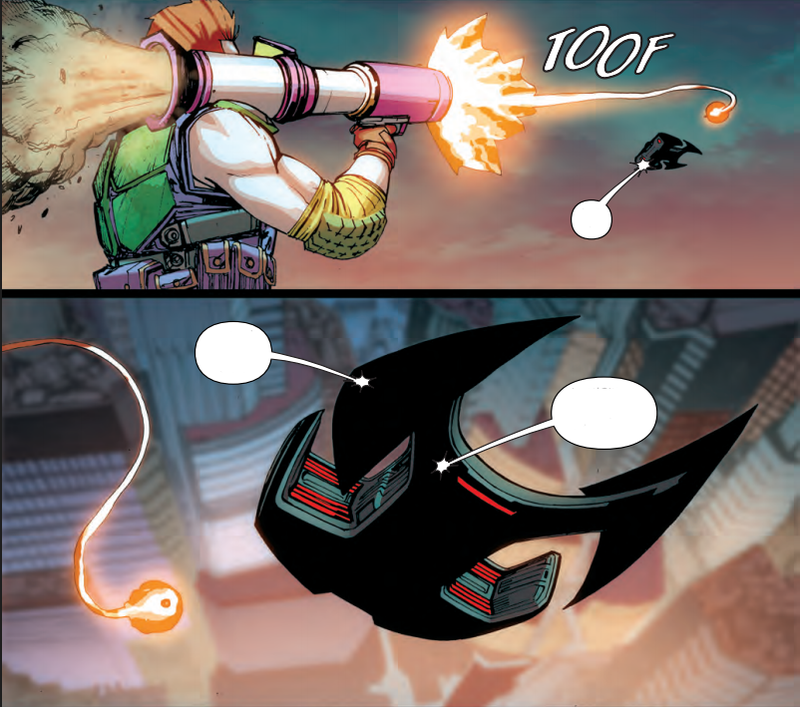 With great art and style you have a real winner here, Batman Beyond will be a fantastic read for fans of the Bat and those that want something a little different.